So, what to start with? It turned out that my camera still had quite some pictures left from the time in Oslo, the last days of November. After our visit to Minhaj Ul Qumran our week was far from over. Thursday we were 'off' - except from 6 hours of classes. Eric and me made a little tour through Oslo. Oslo Harbour. Time: 15.05 CET. Friday afternoon brought a visit to another mosque: the Bosnian mosque. We were present at the the Friday prayer. 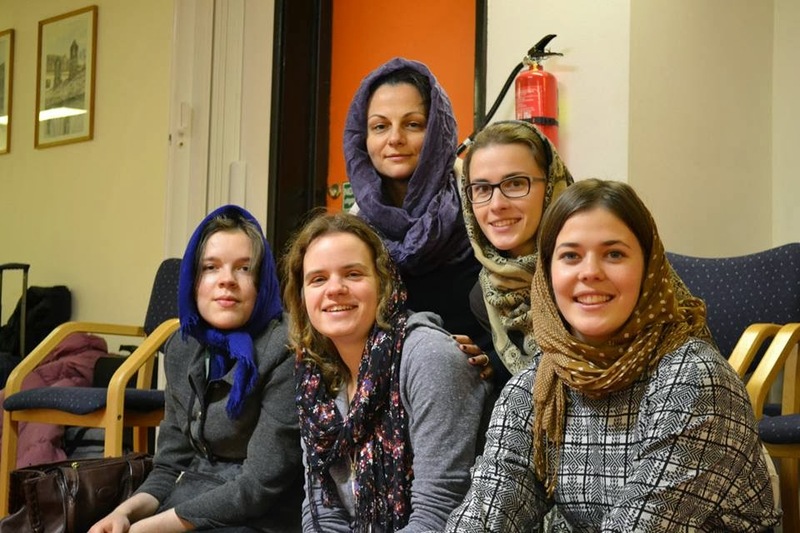 Here 5 of the 7 women in the 4th cycle prior to the prayer. Photo: Zejian Zeng. After the prayer we talked with Imam Faruk Terzic. We felt very welcome and learned a lot! 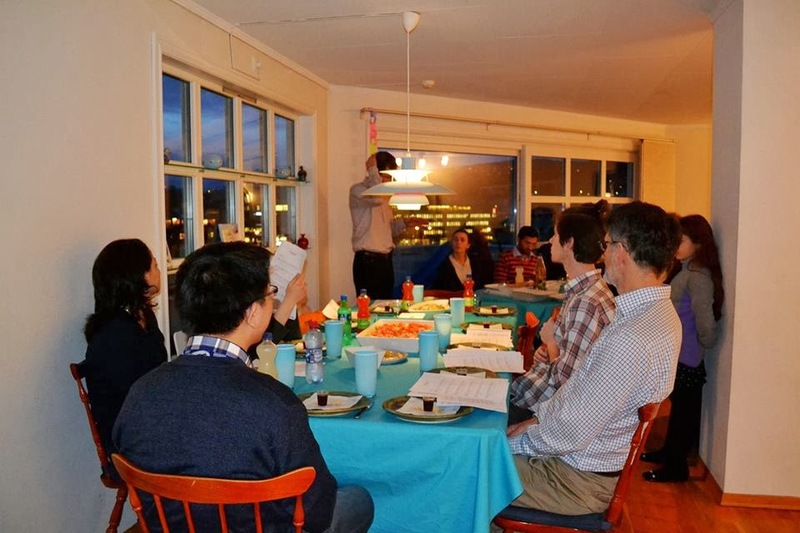 From Islam to Judaism - Friday night we were invited at the house of our teacher Gunnar and his family for a sabbath meal! A very special experience to witness 'theoretical knowledge' in practice, a chance to pick up the Hebrew that I had all forgotton and, not in the least, a night with great food and good conversations. On Saturday morning, we also visited a synagogue, but we couldn't make pictures there. Instead a few from the trip that Eric, me and Rasuole made in the afternoon. We took the the subway up for 20 minutes and suddenly we had left Oslo behind and were in the middle of nature. A great end to a great seminar.